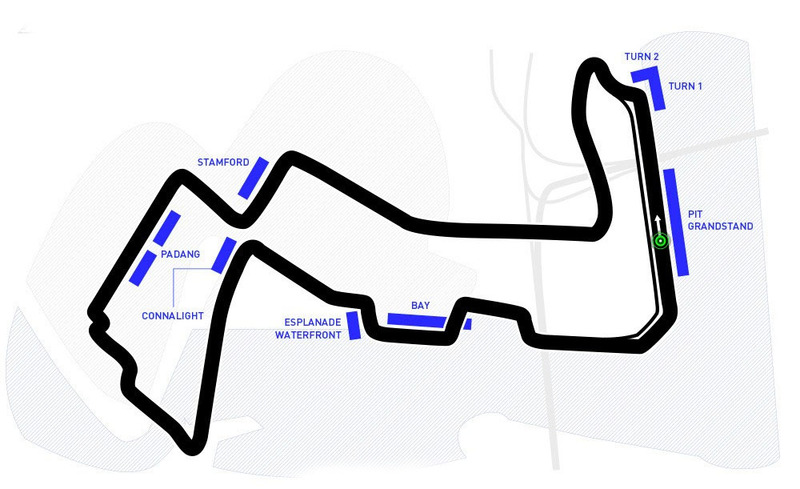 The Singapore Grand Prix is a motor race on the calendar of the FIA Formula One World Championship. The event takes place in Singapore on the Marina Bay Street Circuit and was the inaugural F1 night race and the first street circuit in Asia. Spaniard Fernando Alonso won the first edition of the grand prix, driving for the Renault F1 team. The Singapore Grand Prix will remain on the F1 calendar through at least 2017, after race organizers signed a contract extension with Formula One Management on the eve of the 2012 event.